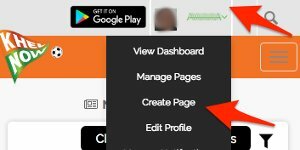 For all the latest updates, photos, video highlights, reviews, tactical analysis from I-League 2017-18 title decider game today, join in! What an afternoon it have been for the Indian football fans! Anyway, don't just go anywhere else already. Match report and other related reports are coming up in a jiffy. Signing out, this is your host Sourav Neogi, see you later. 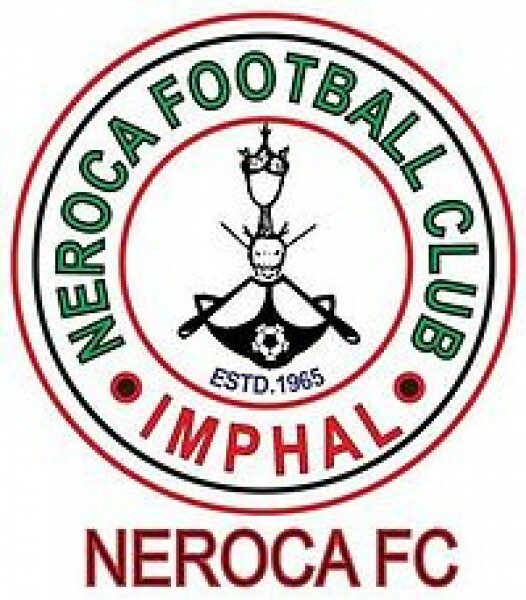 As Minerva Punjab wins the title, NEROCA have finished the league in the second place following the draw against East Bengal who have finished in the fourth place. The other Kolkata giant, Mohun Bagan have drawn against Gokulam Kerala and finishes in the third place following NEROCA in the standings. 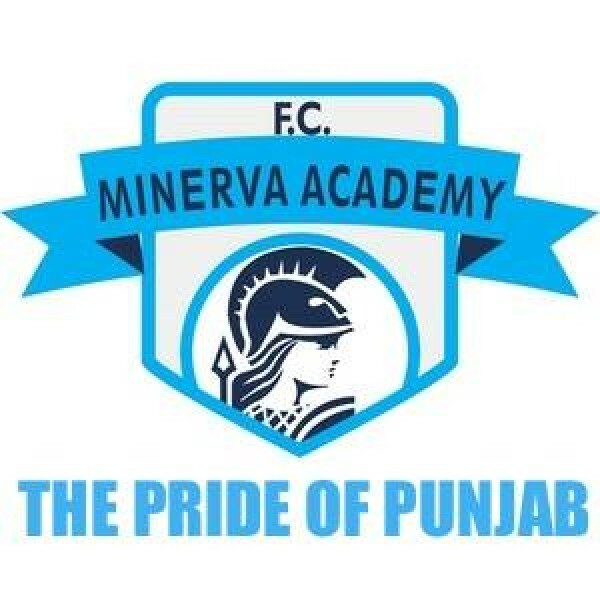 Minerva Punajb are Champions of India! The Chandigarh based side becomes the first Punjabi Club since JCT’s title-winning side in 1996 to win India’s tier Football league! Panchkula: 90’+6’ It’s over! 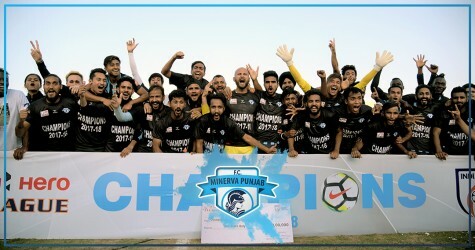 Minerva Punjab FC are the Champions of India! The Chandigarh based side becomes the first Punjabi Club since JCT’s title-winning side in 1996 to win India’s tier Football league! Panchkula: 90’+3’ Only a matter of seconds now. The players look relentless, the coach looks relentless, the crowd looks relentless! What a scene it is in Panchkula! Kolkata 90+1’ Five minutes of added time here at the Salt Lake and there’s seems to be more players going down. Now Felix Chidi is down holding his knee after hurting himself and it seems like the title is Minerva’s right now. Kozhikode: 90+3' A usual time wasting by the Gokulam side, with their keeper taking all the time in the world to take a goal kick. Gokulam were awarded a corner kick, went in vain after a easy save by the Bagan defenders. KOLKATA: 89’ More controversy here at the Salt Lake stadium as another penalty shout for East Bengal is waved off. Katsumi took a corner which past Dudu but seemingly hit the hand of a Neroca player in the box before the ball was sent out of play. Meanwhile, Kallon seems to be struggling and is down writhing in pain. Kozhikode: 90' A goal-line clearance from Gurjinder to keep Mohun Bagan alive. Sushanth Mathew comes in for Merza Alajami. With Kadam going out as well. Kozhikode: 4 added minutes here in the south of the country. KOLKATA: 86’ Nick Ward scuffs another chance for Neroca who had launched a promising counter-attack but the Australian’s decision-making was especially poor. Amna looks to be in great form as he makes a terrific turn before passing it to Ralte who goes past a defender but Neroca don’t allow him to make the final pass and send the ball away for a corner. Panchkula: 86’ Only minutes to go before Minerva seals their first ever I-League title. Meanwhile, Bali Gagandeep is coming in for Girik Khosla for the Warriors. Seems like the hosts are looking for some extra firing power for the fatigued Churchill side in the final moments of the match. Kozhikode: 86' Long range shot from the Mohun Bagan defensive midfielder, Cameron Watson, troubling the goalkeeper for a corner kick. Panchkula: 83’ Sukhdev Singh is once again down after a challenge from Ceesay. The referee have stopped the play. Meanwhile, Minerva fans are loitering and shouting “Champions” banners in the stands. Absolute pressure for the Churchill footballers. KOLKATA: 83’ Both the sides are going all out attack in this last 10 minutes and atleast want to win this one. Nick Ward robs an East Bengal player of the ball and charges into the box but his shot is a really weak one. East Bengal look dangerous in their counter-attack but in the end, Katsumi scuffs his shot which is collected comfortably by Thapa. Kozhikode: 85' Nikhil Kadam runs down the left wing, dodging the defenders but failing to convert the chance. An angry Shankarlal shouting from the bench. Kozhikode: 84' A Sharp run from Gokulam Kerala forward on the counter, brought down by Nikhil Kadam by his challenge from the back. Yellow card shown to the winger as the refree separates Kadam and Musa. 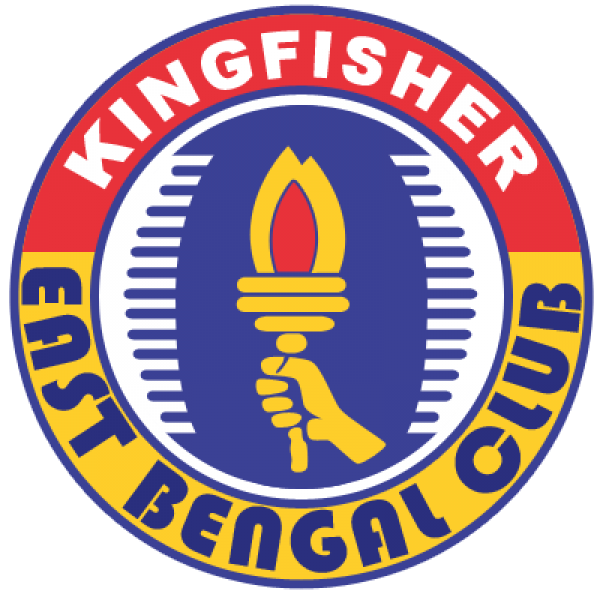 East Bengal fans are praying for an equalizer from Churchill and Gokulam to keep their Giant Killer title intact. If both Minerva and Mohun Bagan are forced to part from a win, the Red and Gold Brigade scores one more goal in Kolkata then they will clinch the title this year, a climax much similar to Bollywood masalas. KOLKATA: 80’ A bit of sparks here at the Salt Lake as Amna is brought down yet again and gets into a heated war or words with Ward. Dudu comes into bring even more heat to the battle which is eventually calmed down by the officials. Meanwhile, Cavin Lobo comes on for Rafique and instantly puts in a great-free kick which is initially scuffled by Thapa but collected well in the 2nd attempt. Kozhikode: 80' Daniel Addo showed the yellow card for bringing down Moghrabi. Kivi replaces Jayaraj for Gokulam Kerala.Dicka came close yet again and as it seems now, Mohun Bagan are fading on the field. Is it the weather or the vanishing hopes? Panchkula: 76’ Minerva Punjab bringing in more fresh blood as Abhishek Ambekar and Bazie Armand comes in and Akash Sangwan and William opoku goes out. Looks like Khogen Singh is strengthening the defense and is set to take a more defensive approach in the following minutes. Meanwhile, Churchill are going ga-ga over the search of a single chance in Minerva’s half. KOLKATA: 76’ NEROCA almost get an instant response as they make a great move through the middle. Subhash Singh delivers a pitch perfect through ball to Chidi, who opts to pass it to Nick Ward, who can’t hit the shot and has to pass it to Gopi Singh, who has a tame hand-ball shout waved away. Subhash takes another shot at goal but is blocked well by Arnab. Kozhikode: 77' Dicka wasted a golden opportunity just before the break, the chance was created after a linkage with Nikhil Kadam, Faiaz Sheikh kept that ball in action before heading for the break. KOLKATA: 73’ GOALLL!! East Bengal get their equalizer. Neroca fail to clear the danger and Lalram Chullova gets some time to put in an amazing cross which is perfect for Dudu, who heads it past Thapa to bring things level here at the Salt Lake Stadium. Panchkula: 72’ Experienced defender Sukhdev Singh is down with an injury. The medical staff are coming in the field while players take a little drinks time. Meanwhile, Minerva coach Khogen Singh is being relentless in the dugout as he is seen walking all around, shouting to players and other staff and giving them instructions. KOLKATA: 72’ The fans have raised their voice in the last few minutes as they urge on their team to try and get some goals. Neroca are defending their crosses brilliantly as both Varney Kallon and Ashok Singh have defended the pressure really well and haven’t allowed East Bengal to get the equalizer so far. KOLKATA: 69’ Subhash Singh is a lucky man to escape a booking as he brings down Al Amna for probably the 3rd time in this match. The corresponding free-kick from Katsumi is an inviting one but one which is defended brilliantly by Neroca. East Bengal receives another chance when a mistake from Tondonba is capitalized on by Ralte, whose low cross is a good one but Thapa clears is off bravely. Panchkula: 68’ Minerva with a corner but the threat is cleared by Churchill defenders. Sangwan takes the next corner but the ball out once again. Looks like Minerva is trying to keep the ball in the opposition half and deny Churchill the chance to equalize and save themselves from relegation. Kozhikode: 71' Debnath comes in for an injured Gharami for Mohun Bagan. Gokulam is getting over the Kolkata club over and over again, aggressive pressing. Corner for Kerala but of no use. KOLKATA: 66’ East Bengal again make some good movement with the ball and Kromah does very well to go past some of Neroca’s defenders before taking a shot which is very weak and deflects off Katsumi, who was offside and his attempt wasn’t even taken into consideration. Panchkula: 64’ Minerva Punjab are creating and missing chances out of the blue. Chencho is roaming alone in the left while Churchill launches a counter attack. Britto PM takes a shot at the Minerva bars but Kiran Limbu denies the Goan to keep the scoresheet intact once again. What a waste by Churchill! Kozhikode: 64' The game continues with a short drink break. The temperature down here is quite hot, with the humidity playing another hurdle for the players on the pitch. KOLKATA: 63’ Katsumi Yusa does well to steal the ball in midfield and puts in a great pass for Kromah which is deflected for a corner. The Japanese takes the set-piece and sends in a dangerous ball which falls to Amna inside the box, but his shot is sky-rocketed over the post. KOLKATA: 60’ Lalit Thapa is down after taking a knock and is being treated upon which allow the players to have some refreshments. Meanwhile, Khalid Jamil seems to be fed up with Jobby Justin, who is substituted with Ansumana Kromah coming on. Panchkula: 58' Another yellow card in Punjab as Amandeep Singh is punished by the referee. Already the third yellow card of the game, this match is turning to be a nightmare for the players. Kozhikode: 60' A decent attempt on goal from the host's Arjun Jayaraj with the Mohun Bagan captain keeping the ball out of the goal quite frantically. KOLKATA: 57’ East Bengal are playing this long-ball system pretty well and are hounding the Neroca box with long balls. They earn a corner thanks to a forced clearance from Neroca’s defence and send in a great ball into the box, which is not properly met by Justin who was offside anyways. Kozhikode: 58' Gokulam Kerala players are getting a bit casual and the heat of the match is making them to commit unnecessary fouls. The Momentum of the game is irregular. Panchkula: 55' Minerva makes their first substitution of the game as Bektur Ullu finds his way into the game. Meanwhile, Kiran Limbu denies Ceesay once again in the game to keep the lead intact. KOLKATA: 54’ East Bengal are finding it difficult to penetrate through Neroca’s rigid system and are being forced to play with long balls. One decent long ball from Lalram Chullova almost finds its way to Justin but is tracked and collected well by Thapa. Panchkula: 53' Looks like Monday and Costa are linking up pretty well in the centre of the pitch. Minerva looking a bit bulky in the right as all of their attacks are being launched through the opposite side. Chencho looks vulnerable with all the actions happening far from him. Meanwhile, another chance by Churchill saw Limbu denying the visitors to equalize with an amazing acrobatic save. Kozhikode: 53' Irshad goes into the refrees book after a late challenge from behind on Akram Moghrabi. Bagan keeping possession of the ball in their own den for the most part of the 2nd half. KOLKATA: 50’ Neroca have surprisingly come out with a lot of intent on getting another goal which would seal the game. They have more possession so far and are causing some problems for Bengal. On the other hand, Bengal make a decent move through the middle and Amna heads in down to Dudu, who’s shot whiskers past the goal but he was offside anyhow. Panchkula: 47' Minerva Punjab and ChurchillBrother's footballers are back on the field. Minerva gets their first corner kick in the second half but fails to convert it in. KOLKATA: 47’ Penalty shout for East Bengal! The ball is moved through the left and is given to Dudu inside the box and the striker attempts to trick the Neroca defender, who allegedly handled the ball when clearing it out for danger. No penalty for the hosts says the referee. KOLKATA: The teams are coming back into the field and East Bengal have made a change here! Yami Longvah who has been quite ineffective so far goes off for Laldanmawia Ralte. KOLKATA: Despite their team going down, East Bengal fans seem to be optimistic about winning this fixture. But they are praying to their gods that both Minerva and Mohun Bagan drop points in the end, which could help them pull of this miracle. Halftime update: The first half is already done and dusted in all three games and the calculations have become more complicated than before. Henry Kisekka has scored for Gokulam Punjab against Mohun Bagan just a couple of minutes ago. NEROCA are leading against East Bengal, courtesy of a goal from Felix Chidi and Minerva are also making a scene out of Churchill Brothers in Punjab. Looks like Minerva will be the champions after all! KOLKATA: 45+1’ Thrilling end to the half as Edu’s powerful freekick whiskers just beyond the goal. East Bengal will be wondering how they are losing right now as they should’ve scored multiple goals in this half. Jobby Justin and Dudu both had chances to give them the lead but the former made a horror miss with an open-goal in front of him. Lalit Thapa kept Neroca in the game and Felix Chidi showed his clinical nature from scoring from his first attempt and have his side go into the break with a crucial lead. KOLKATA: 42’ GOOALLLL!! Neroca take the lead! Felix Chidi finds the ball in the box and goes past Eduardo Ferreira, tricking the defender before making a clever finish beyond Ubaid. What a shock lead for the Orange Army! 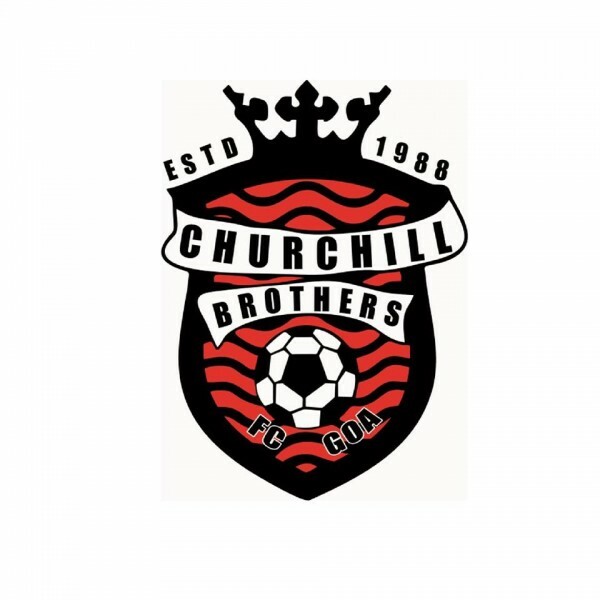 Panchkula: 38' Churchill Brothers with a free kick from the 25 yards. Eldor takes the shot but the ball goes out wide. Churchill looks like they are bowing down to the defending prowess of Minerva Punjab already. Things look a lot more complicated for East Bengal, NEROCA and Mohun Bagan now. KOLKATA: 39’ It’s been flurrying missed opportunities from East Bengal and that continues as Al Amna makes a terrific run into the box and is found by a clever ball, but he cannot beat Thapa who makes a great low save to keep his side into the match. KOLKATA: 37’ WHAT A MISS FROM JOBBY! East Bengal move through the right wing and Al Amna makes a glorious cross into the box which even beat Lalit Thapa and fell to Jobby Justin, who missed from 5 yards out and couldn’t direct his attempt into the goal! Terrible miss from the striker. Panchkula: Churchill Brothers just made the first substitution of the game as Jovel Martins replaced Mezhu on the pitch. KOLKATA: 35’ CHANCE FOR BENGAL AGAIN! The Red and Gold Brigaders receive a freekick deep into the right wing and it’s an inviting ball from Katsumi which finds it way to Dudu, who couldn’t direct is shot towards goal and his attempt whiskers just away from goal. Should’ve done better! 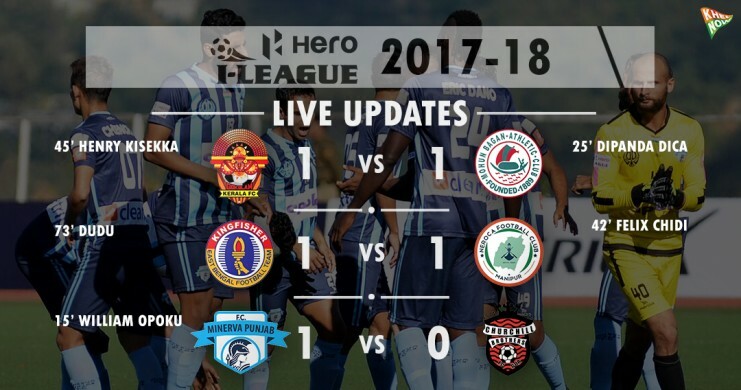 After the first half an hour, Minerva Punjab is leading 1-0 against Churchill Brothers in Panchkula along with Mohun Bagan who have also scored against Gokulam Kerala in Kozhikode. Only East Bengal and NEROCA FC game still remain goalless. If things stay just like it is now, Minerva Punjab is going to win the title less than two hours later. Panchkula: Looks like Minerva is trying to go wide with Amandeep on the left. Churchill is doing their best to deny the Warriors any ground. Dano is being the most influential player in the visiting Churchill squad, roaming around everywhere to create a chance and also coming back down to defend. Meanwhile, Minerva’s Sukhdev Singh missed a chance as the defender headed the ball wide. KOZHIKODE: GOOOALLLLL!!!! 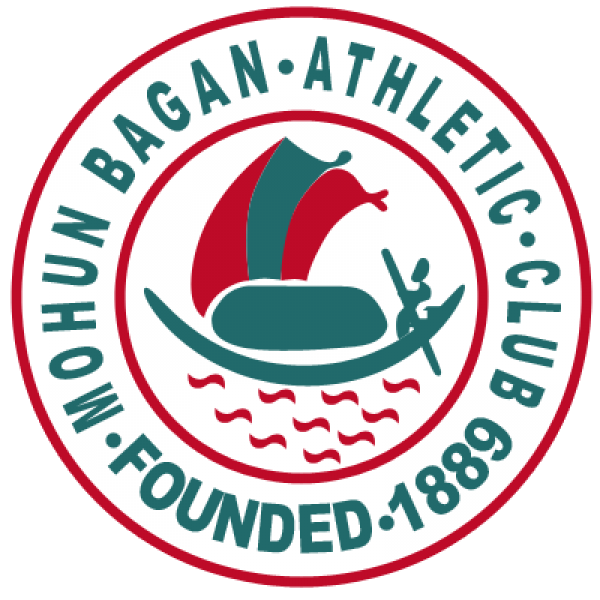 Gokulam Kerala FC 0-1 Mohun Bagan! Dipanda Dica Scored! Cameron Watson's thumping shot cannons off the crossbar, Dipanda Dicka heads home the rebound. KOLKATA: BIG CHANCE FOR BENGAL! The Brigaders make clever use of a freekick by taking it quickly and feeding Amna inside the box, but the Syrian midfielder slipped and his shot could only hit the side-netting. Meanwhile, Rafique also finds space in midfield and sends in a dangerous ball into the box but Dudu can’t get his head to it. Another chance for Bengal as Dudu receives the ball inside the box and takes a shot, which Lalit Thapa scuffles at first but recovers well to collect comfortably. Panchkula: Minerva’s Bhutanese sensation Chencho has been in red hot form till now. The 21-year-old is looking for gaps everywhere. Meanwhile, Churchill is trying hard to get back to the game already as Dano made an attempt on the goal but the shot just got wide. KOLKATA: The East Bengal fans are anxious and are definitely getting riled up by so many fouls from Neroca. They demand the referee to take more actions and are not pleased with how Katsumi is often at the end of awful fouls. Panchkula: GOOOOALLLLLL!!!!! Minerva Punjab 1-0 Churchill Brothers! William scores! Chencho made an attempt towards the goal that was poorly handled by the opposition goalkeeper. The rebound landed towards the #42 Williams who made no mistake in netting into the unguarded goal. Panchkula: Churchill are back to their dangerous self. Minerva are trying to hold the ball. Meanwhile, William was fouled by Richard Costa but the referee allowed the gameplay to continue. The Warriors are trying to break through the middle as they are being forced to retreat from the wings by the Red Machines’ fullbacks. They finally broke through in the 13th minute when Minerva’s Sangwan took a direct shot from inside the box but was denied by the opposition goalkeeper. Kolkata: East Bengal look much brighter in attack and are working through the wings to try and break the deadlock. Both Katsumi and Yami Longvah took some ambitions attempts at goal but it wasn’t good enough to test Lalit Thapa. The Japanese had been on the end of some crunch fouls but his delivery from the free-kicks hasn’t been upto the mark. Subhash Singh also makes his mark by going on a darting run on the left, but his weak-foot shot is straight at Ubaid. Kozhikode: It is mostly sparring in the midfield so far with both sides trying to script attacking moves. Bagan came closest when Nikhil Kadam crossed in a teasing ball in the penalty box but couldn't find Moghrabi. 3:10 PM It’s been a bright start in all three games with all teams are trying to gain the upper-hand early on. 3:08 PM The game in Chandigarh have started couple of minutes after the other two as the nets were being fixed by the linesman. However, the game have started now and the players are putting in extra efforts to ensure the title. 3:05 PM It’s been a bright start to the game in the Salt lake stadium with both teams trying to gain the upper-hand early on. East Bengal are the ones showing more intent in attack as Al Amna and Katsumi Yusa are trying to link up well in the right-wing and terrorize the North-East team from that side. 03:00 PM It's a kick off in all three venues! The D-DAY is here folks! Don't anywhere, more updates are coming. 02: 58 PM Looks like Minerva is going up with a 4-2-3-1 formation. I wonder how NEROCA, East Bengal and Mohun Bagan have decided to go with. A couple of minutes more, stay here and get to know about them. 02:54 PM It's only a couple of minutes before the battles for the ultimate glory start in Kolkata, Kochi and Panchkula. All the players have retreated to the dressing room and are surely raring to get back on the field. Who will get on top? Ladies and gentlemen, stay tuned and witness history being made! 02:48 PM The Mariners sit at the 3rd spot with this game in the fray. A win at the EMS Corporation Stadium and a win for the Red Machines against Minerva is enough for the Mariners to seal their second I-League title in four years. 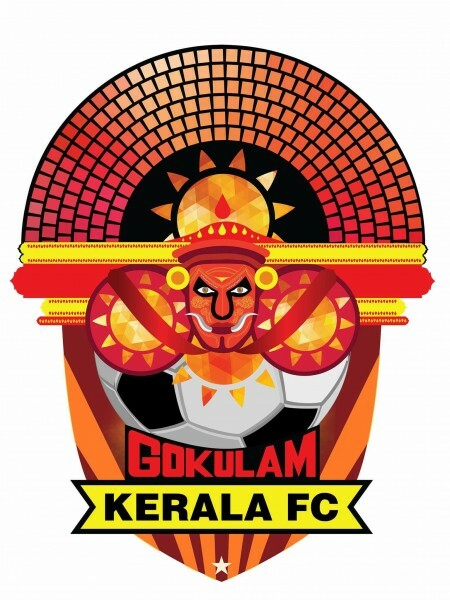 Directed by Shankarlal Chakraborty and after having a season with a lot of ups and downs, the ancient club will be firm in surprising the hosts, Gokulam Kerala. 02:45 PM In Kolkata, Both East Bengal and NEROCA FC are training rigorously in the pre-match skits here. It almost feels like they’re training for a final itself and this fixture is a virtual final in itself. Neroca can complete their dream season by winning today and could lift the trophy at the end of the day, while East Bengal will look to the skies for a pinch of luck and will want to break the jinx of them coming oh so close but missing out on the I-League title. 02:42 PM For Minerva Punjab, this is a game that bears huge consequence for both the teams involved. Minerva Punjab needs a win or even a draw provided the other two games go in their favour, to become champions of India for the 1st time in their short history as a professional club. Old horses Churchill brothers, on the other hand, would want nothing other than a win to remain in the top tier of Indian football and condemn Chennai city to the sole relegation spot. 02:40 PM The final day title hunt is on and the lineups are already out. Take a look at them. Limbu (GK), Sukhdev, Chencho, Khosla, Aidara (C), Akashdeep, Sangwan, Kamalpreet, Dano, Opoku, Amandeep. Ricardo (GK), Onyeama, Plaza, Meitei, Monday (C), Mezhu, Ceesay, Britto, Gurung, Costa, Eldor. Ubaid (GK), Mondal (C), Chullova, Amna, Rafique, Katsumi, Eduardo, Justin, Samad, Longvah, Dudu. Thapa (GK) (C), Govin, Tondonba, Kallon, Ashok, Vorbe, Chidi, Subash, Gopi, Ward, Saran. Shilton (GK) (C), Dicka, Kinowaki, Kingsley, Moghrabi, Bagui, Gharami, Watson, Kadam, Gurjinder, Mallick. 02:35 PM The big tripe kickoff is less than half an hour away. 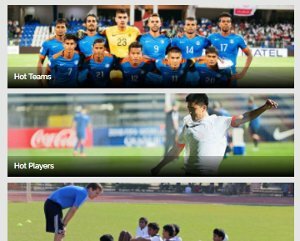 As you warm-up for all the action why not read up on all you need to know about what is set to be a seismic day in Indian football. Here's our I-League Final Day Preview. 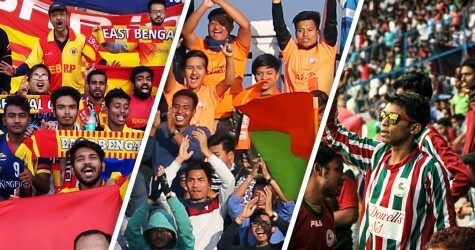 02:30 PM Hello everyone, it is a wonderful day so far in India and all the fans are raring to go into the showdown of the I-League's final day fixtures. 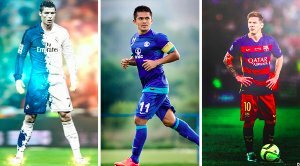 An unreal experience nonetheless, this season have been a hitchhiker's guide for the I-League fans as four teams go into the field today at the same time- all in contention to win the coveted trophy. Out of these four, we have the Kolkata giants, East Bengal and Mohun Bagan; behemoths from the north- Minerva Punjab FC and the dark-horses of this term, NEROCA FC. Who's going to come on top? Who's going to register themselves in the history? Who have what it takes to be called the champions? We're here to discuss all of it, all three games altogether. This is your host Sourav Neogi, stay tuned to get all updates from the three title deciders.